“There is always something larger or smaller.” – Anaxagoras. When I reviewed the first season of the hit horror anime back in 2014, when it was released by Manga Entertainment, I was annoyed by it and gave the second part of the season 6/10, which in turn annoyed some readers. I disliked the way the series had been handled. There was shoddy subtitling, things got lost in translation, and the scene selection was wrong, which was all frustrating because it was a great series. In the end I said the main reason to get the set was for the extras, but in terms of watching the series you were better off streaming it via Crunchyroll. Things have now changed. Season 2 has been released by Sony Pictures, marking their move into anime. However, it is really a Funimation title, and when you put the discs in your player there is no mention of Sony, just of Funimation (complete with trailers you can still skip past). But before we move into the quality of the release, let’s deal with the story. When we left, Eren Jaeger and his fellow members of the Survey Corps (or “Scouts” as they are still being wrongly referred to in this translation) managed to pull off a major success. 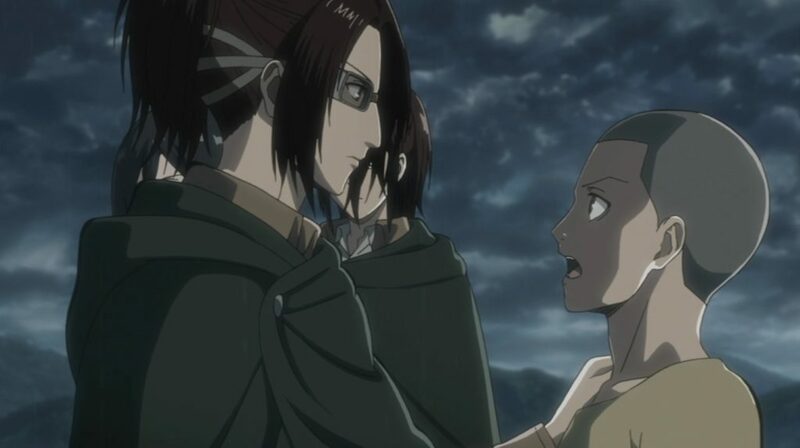 Using Eren’s abilities to transform into a Titan – the race of man-eating giants that have driven humanity to the brink of extinction and sealed themselves in a city consisting of three gigantic walls – they were able to stop their former friend Annie Leonheart, who had similar powers, from causing harm. However, she used her abilities to seal herself away in a gigantic crystal. One thing that has been discovered, however, is that inside the wall there appears to be a Titan. 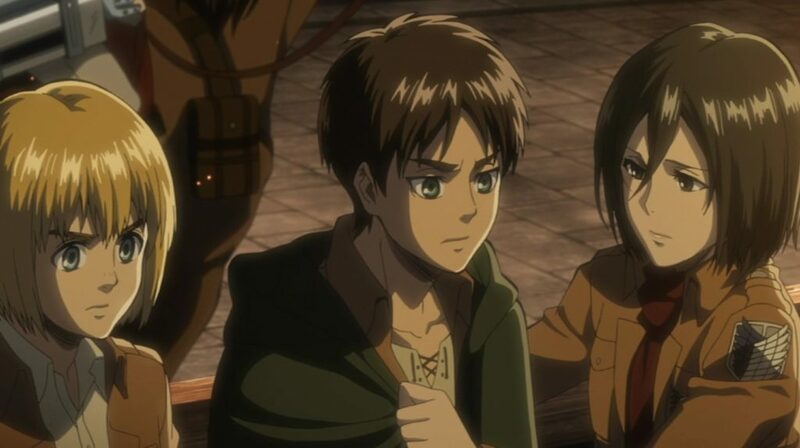 Hange, the scientist of unknown gender, tries to figure out how this can be used to repair the walls that have already been damaged using Eren’s powers, with the help of his friends Mikasa and Armin. However, they then learn of something much more serious: some Titans have breached one of the walls and are attacking. 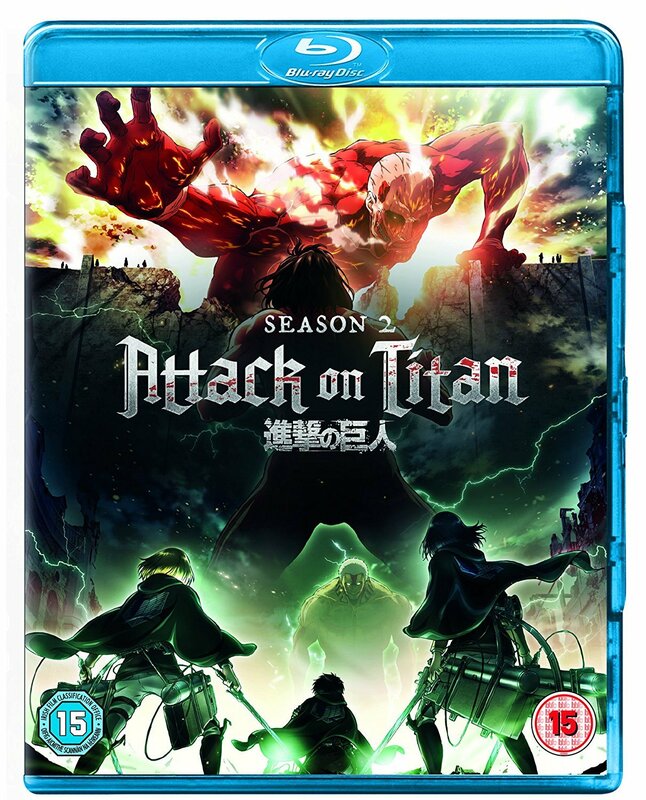 Among the people in the way are some fellow members of the Survey Corps who are off-duty including Sasha, Conny, Christa, Ymir, Reiner and Bertholdt, who now have to fend off this latest attack which includes a seemingly intelligent abnormal “Beast Titan” that is capable of human speech. While the attack occurs, Sasha and Conny try to see if their nearby villages are OK, with mixed results. They eventually all seek shelter in an abandoned castle, and while they’re under siege, more truths begin to emerge. All is revealed when one of the gang reveals themselves to also be able to transform into a Titan, but this pales in comparison when we finally learn the true identities of the Colossal and Armoured Titans which drove Eren to make his promise of slaying all Titans. All of these revelations help to make Attack on Titan the thrilling series it is, as we try to piece together the truth about the origins of the Titans as well as trying to uncover which of the humans are Titans in hiding. You also have the action which comes along in spades. People will already be aware that this anime is not for the squeamish, especially as you see people being ripped and bitten into pieces by these gigantic monsters. Plus the vast cast of characters always provide entertainment, whether it is serious or comic, helped by the voice acting. Yuuki Kaji certainly helps to bring ther role of Eren to life. Having said this, there are still plenty of questions that are left unanswered such as the identity of the Beast Titan, the motivation of the Titan-transforming humans, and the importance of other characters in the story. Fortunately some of these questions may be answered in the forthcoming third series that airs later this year. Aside from some translation issues (i.e. “Scouts” here rather than “Survey Corps” which is in the original manga and Crunchyroll’s stream), the subtitles do feel a bit better than last time. The scene selection also feels better too. However, there are less extras than before. If you get the Collector’s Edition, which is only available via Zavvi, you get two booklets: one explaining the plot and an artbook. Aside from that, there’s not much in the way of on-disc extras . Having said that, the extras that are included are good. One is an eyecatch gallery, which provides translations of all the eyecatches that appear throughout the series explaining the series setting, that normally appear between commercial breaks during the show. In the Manga releases, these were quickly subtitled on screen and you had press ‘pause’ in order to read them, and one with a lot of information wasn’t translated at all. Here, you just have a simple photo gallery with captions, and you can spend as much time as you like reading it. Although not listed as an extra, one of the things that is good in this collection is “Marathon Play”. This is similar to the normal “Play All” function, but here they cut out things that are repeated. Thus, if you plan to watch all the episode on one disc in a single go, if you select “Marathon Play” it will only play the opening titles once, and it cuts out the closing titles and episode previews altogether. Thus you don’t need to press “skip” constantly and watching the disc is more convenient. To give you an idea of how much time you save, the run time is listed as 5 hours, but in “Marathon Play” it comes out at just under 4 hours. If there is a problem with “Marathon Play” it is that you would expect it to play the ending at least once. This is a slight issue because personally I think the song used in the closing credits, “Yugure no Tori” by Shinsei Kamattechan, to be better than “Opfert eure Herzen!” by Linked Horizon which is played over the opening. This is because the former sounds surprisingly upbeat, which is slightly comic given that the images it accompanies feature people being eaten. In conclusion, this does feel like an improvement on the first season in terms of production, and while some of the translations are still annoying, it is something you can live with. Most importantly, it leaves you wishing for Season Three to come sooner. New developments in Fairy Tail Collection 18 as Lucy’s Zodiac spirits rebel against her, claiming that they have no memory of Lucy and want “total freedom” from humans.